Faster and Easier Repairs: Additional direct links from the DTC to the specific Troubleshooting guide, system checking or diagnostic process. 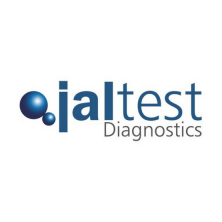 Comprehensive software-embedded Information: All information is one click away, embedded in Jaltest Software, saving time and overall costs on every repair. Unique Format: No matter the system to be diagnosed, every step is displayed in the same intuitive way and located in the same areas within the software. More Accurate Repairs: All the information available is related to specific makes and model, so technicians know exactly what needs to be checked at any time. Fault Code Troubleshooting: More than 13,500 step-by-step repair guides available to help technicians repair every DTC (Diagnostic Trouble Code) diagnosed in specific systems (Engine, Transmission, Brakes, Anti-pollution and Body controller). Troubleshooting by Symptoms: More than 25,900 step-by-step repair guides for the most common symptoms in specific systems (Engine, Transmission and Brakes). E.g. : ‘The engine does not crank’ or ‘Fuel in the engine oil’. Technical Releases: More than 100 technical bulletins with different procedures in specific systems (Engine, Transmission and Brakes). E.g. : ‘How to check the exhaust gases back pressure’ or ‘How to check the oil level using the gear selectors control’.